Brand Revitalization: How Burberry revitalized their brand. 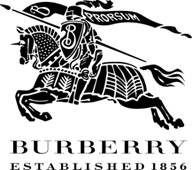 Burberry is an iconic luxury brand established in 1856. Its Tartan pattern is one of the most creative contributions to the world of fashion. It is the 98th most valuable brand in the world and has Royal warrants from the Queen herself. But some time ago the Burberry brand almost lost its value and this was due to factors outside its control. In the 1990’s Burberry became the favorite apparel of choice of the English soccer Hooligans who used to travel across Europe to support their teams. These hooligans had habit of instigating violence after the matches and often looting stores across Europe. These hooligans found out that if they dressed in Burberry attire they were less likely to be picked up by the police in continental Europe. In the 2000’s the trend spread to other youngsters from the inner city neighborhoods in the UK who were also inspired by the Gangster rap movement from the US. Finally Burberry became the apparel of choice of the Chav movement. The Chavs were prone to violent crimes and also social disturbances especially at the pubs. For more on this, please read. Soon most social establishments including pubs banned Burberry. And soon Burberry sales started flagging as most self- respecting customers started avoiding Burberry. Now why did this happen? Burberry had been worn by Gentlemen like Ronald Amundsen, the first person to reach South Pole. Then why did this iconic brand become the favorite among soccer hooligans, gangster and the Chav. Well, the main reason was introduction of a line of clothing that was targeted at the youth. Especially the main culprit was the Burberry variant of the baseball cap. This line of clothing attracted the youth especially the gangster rap and Chav movement. Secondly in order to become more mass market, Burberry had lost its identity as fashion apparel and not one intended for the masses. — Revitalized the brand as a fashion brand. Signed up leading actresses and models in the UK including Kate Moss, Agyness Deyn and Jourdan Dunn. Recently they unveiled Emma Watson as the face of 2009. — Discontinued their mass market line especially the caps that were creating most of the problem. The reduction of this line and their non-availability to the gangs led to decline in their popularity among this segment. — Associated heavily with leading fashion publications like GQ, esquire and Vogue. These are some of the prominent steps revitalized the brand. There was also a change in management and in 2008 Burberry showed an increase in revenue despite economic down turn affecting the global economy. Though Burberry survived, the Revitalization was strongly dependent on the association of the brand with luxury. Luckily for Burberry the association was strong. A weaker brand would not have survived. It was difficult for me to find a brand in India, which as come back strongly, so I had to take example of Burberry – Do you recall any Indian brand which has revitalized itself like this ? I agree Rohit but sometimes it becomes the question of survival like in Burberry’s case. In case of Blackberry in India they revitalized their brand under a lot of competition especially Apple and Samsung. Brand Revitalization plays a vital role in rejuvenating your business and that too when there is pressing need of increased visibility of your business under the extremely competitive market scenario. Thank you PacSun It was an intriguing case study especially as how the brand got associated with the wrong set of people. Luckily for Burberry the posiitves were more than the negatives. Thank you for sharing. I agree with that friend‘s previous comments. Blackberry is a very good example of the revitalization. A good brand is depending on the product quality and customer feedback to judge. I hope that this brand will have a better development. Thank you Arch, Blackberry is an excellent example of revitalization, and well positioned through all the media. Tata Sumo, Toyota, Blackberry – are other examples of brand re-vitalization.